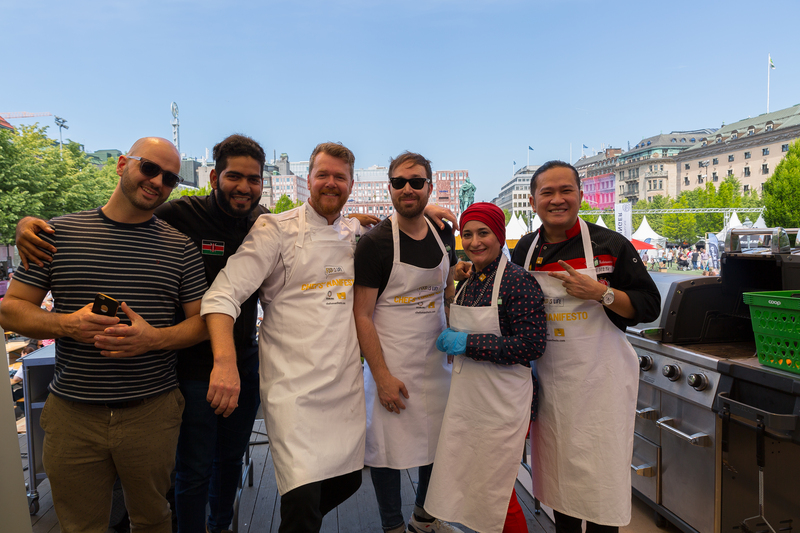 Under a brilliant blue sky on a sweltering Sunday afternoon, 20 chefs from 14 different countries joined together at Smaka pa Stockholm to create flavours from around the globe. 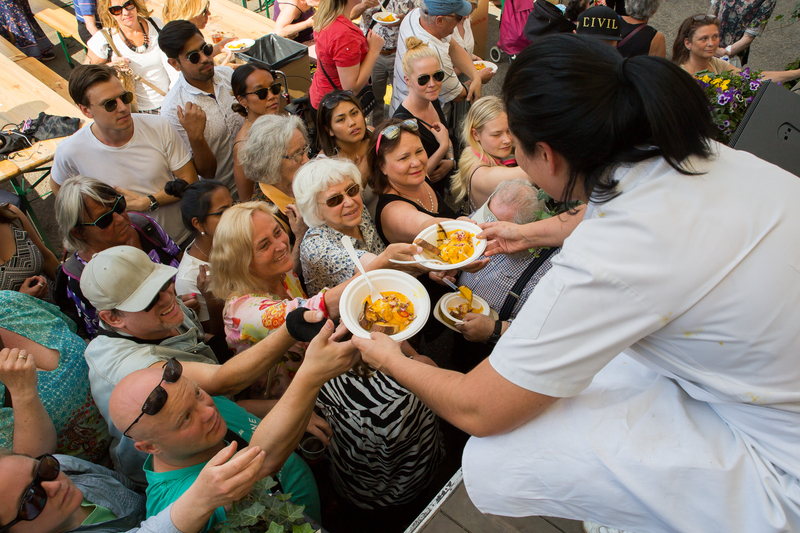 Smaka pa Stockholm, or Taste of Stockholm, is a world-renowned food and drink festival held each year, attracting over 350, 000 visitors annually. 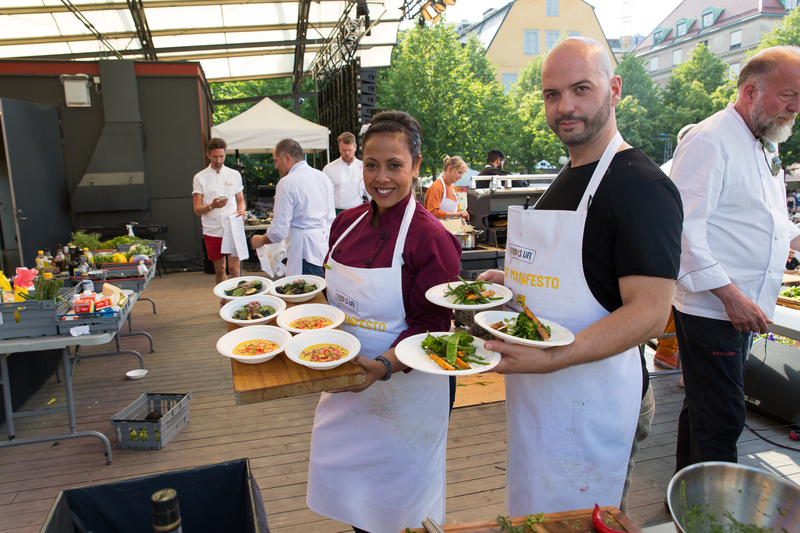 With a focus on local chefs, produce and flavours, Smaka showcases Sweden’s local talent while taking care to minimise its footprint in all aspects of the festival. 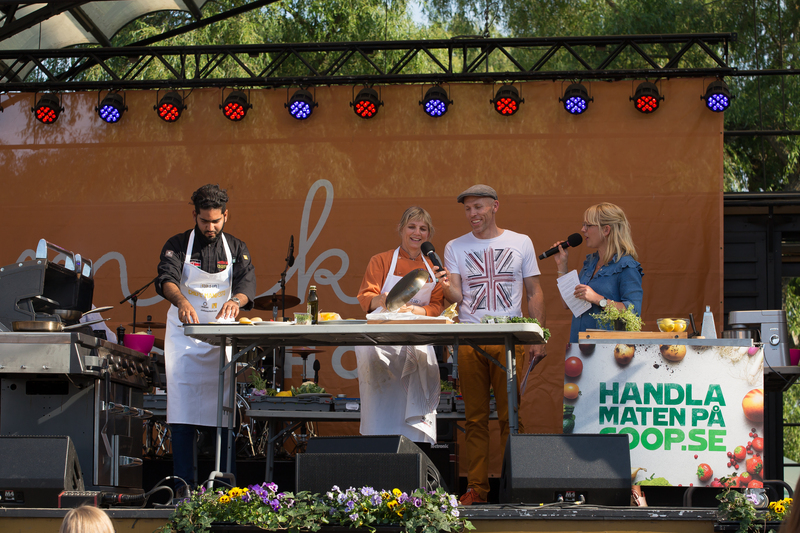 The SDG2 Advocacy Hub & EAT partnered with Smaka pa Stockholm, bringing chefs from around the world to the main stage upon which they competed in team cooking challenges. Many of the chefs had never met before and had to quickly combine their unique talents together with local ingredients, as well as favourite spices sourced from their home countries, to create flavour-filled masterpieces in 15 minutes! The huge crowd looked on with longing as the dishes were created from scratch and televised via large screens on either side of the stage. 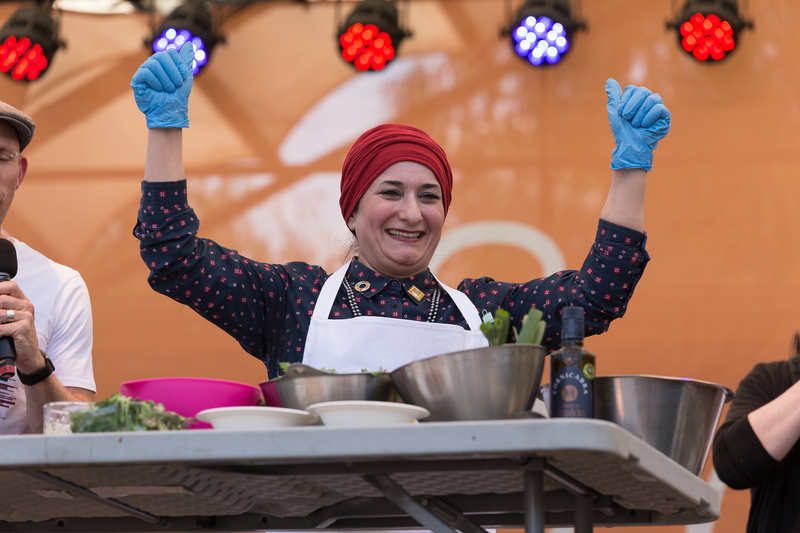 The camaraderie amongst the chefs was visible to all, as they joked and sweated it out together on stage. The crowd eagerly awaited the final presentation of each dish for the opportunity to taste the finished master pieces. During the cooking challenges, the chefs were joined on stage by Paul Newnham who shared and discussed the newly launched Chefs’ Manifesto Action Plan. 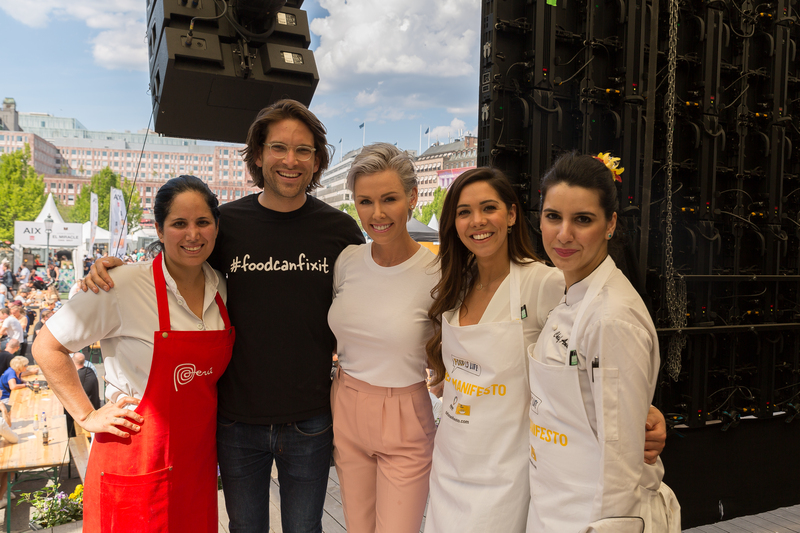 Several thousand audience members listened as Mr. Newnham joined by Dr Gunhild Stordalen, Mr. Gilbert Houngbo and Ms. Gerda Verburg highlighted ways we can work with the earth to generate nutritious, sustainable delicious food for all. The Chefs’ Manifesto Action Plan was written by chefs, for chefs, outlining simple actions that everyone can carry out to deliver a more sustainable food system. Breaking down the language of Sustainable Development Goal 2 (Zero Hunger), the Chefs’ Manifesto is a practical guide that chefs can use every day as they educate consumers, suppliers, and their communities. 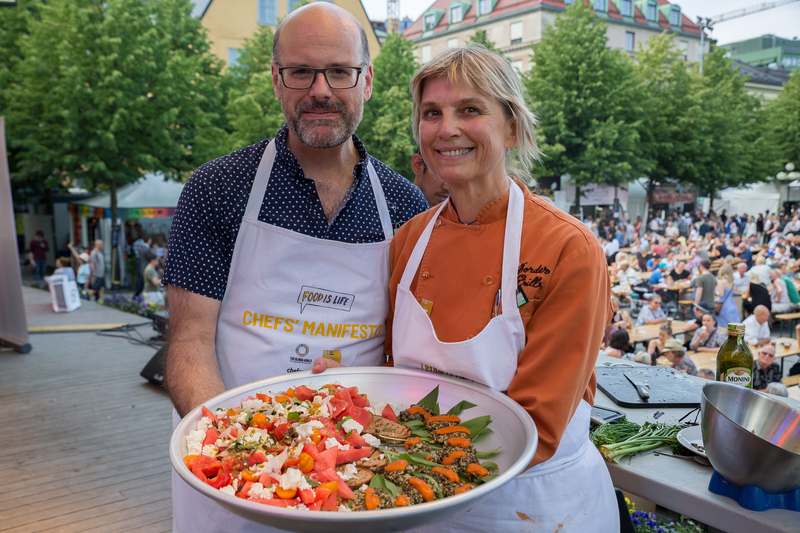 At Smaka pa Stockholm, Paul Newnham passionately spoke about sustainable food systems, whilst collaborating with local Swedish Chefs, partners and other interested food groups on such an important message. 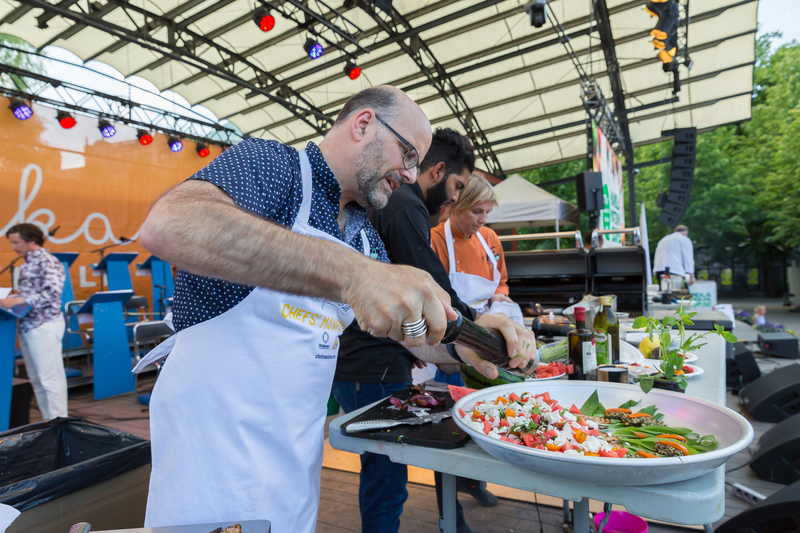 Alongside the main stage, chefs able to cook in the demonstration kitchen and interact with festival attendees, showcasing how to cook colourful, exquisite dishes from food waste. 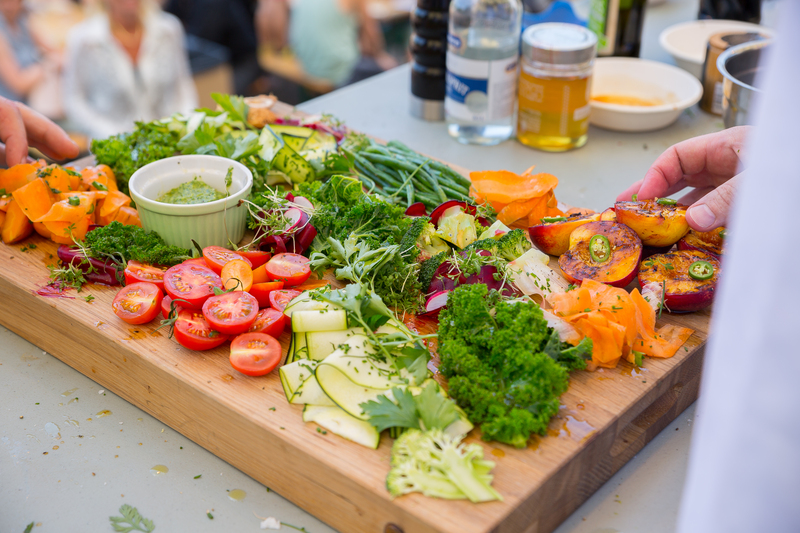 The participating chefs used their knowledge and extraordinary skills to create masterful plates from the skins of vegetables, roots of plants and flowers from the trees! Their combined knowledge and skills creatively illuminated the ways to minimise food waste and maximise plant-forward menus, all of which directly link to the United Nations Global Goals. 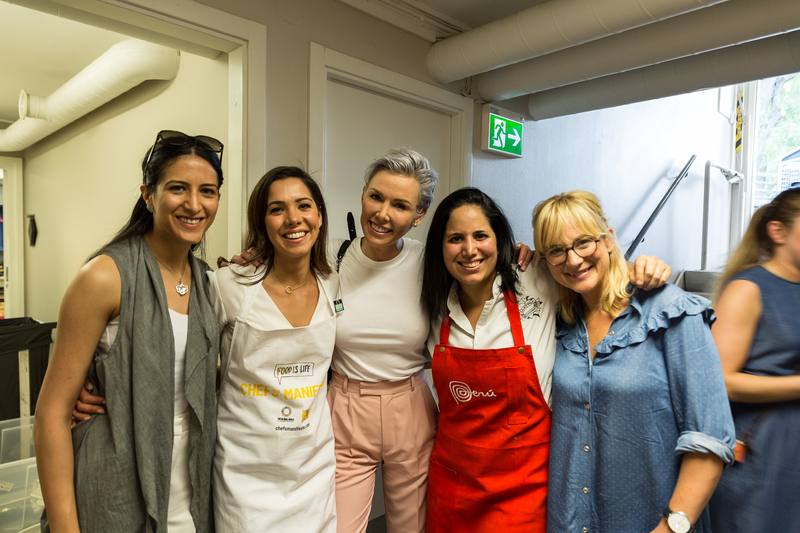 The SDG2 Advocacy Hub would like to thank the organisers of Smaka pa Stockholm for their warm welcome, willingness to assist us on the day and passion around food sustainability for all people.